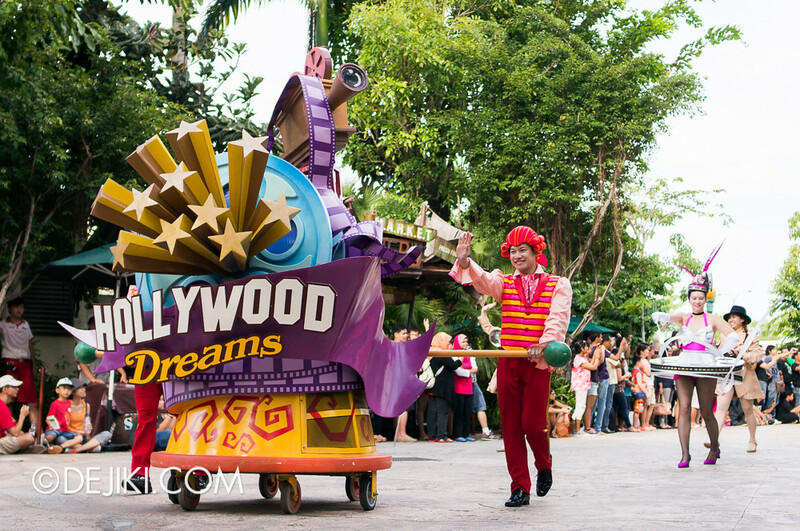 Hollywood Dreams Parade at Universal Studios Singapore was recently updated with new outfits. 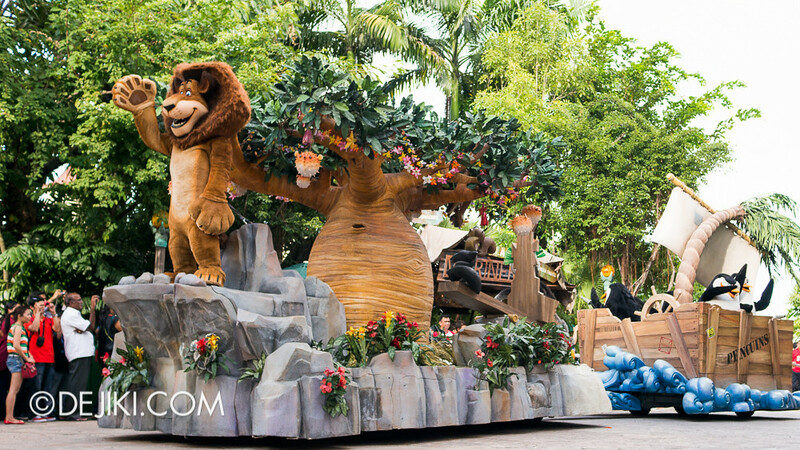 In this feature, we’ll take a look at the parade’s new look. 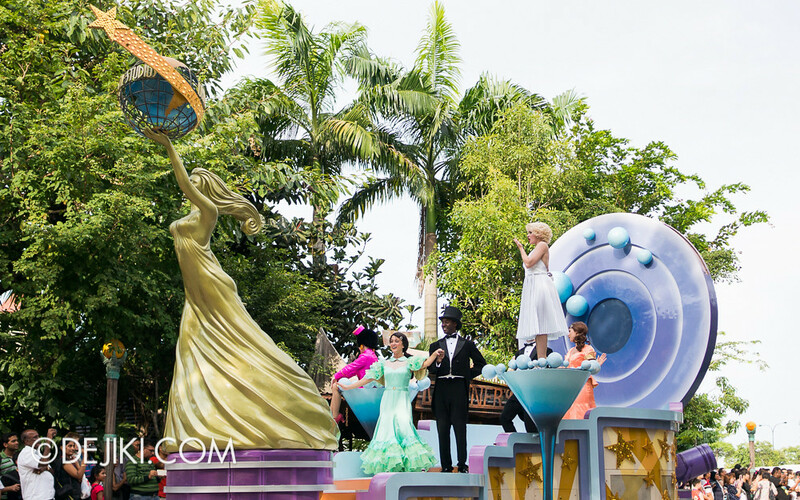 Hollywood Dreams Parade still features 14 floats and a large cast of performers. 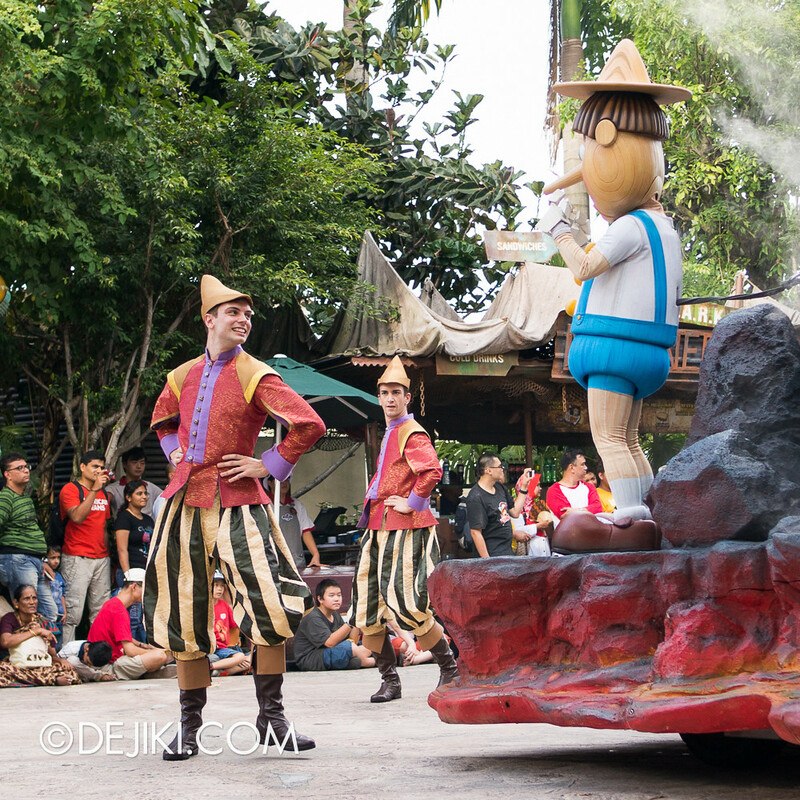 The parade is performed on Saturdays and Sundays and certain public holidays. 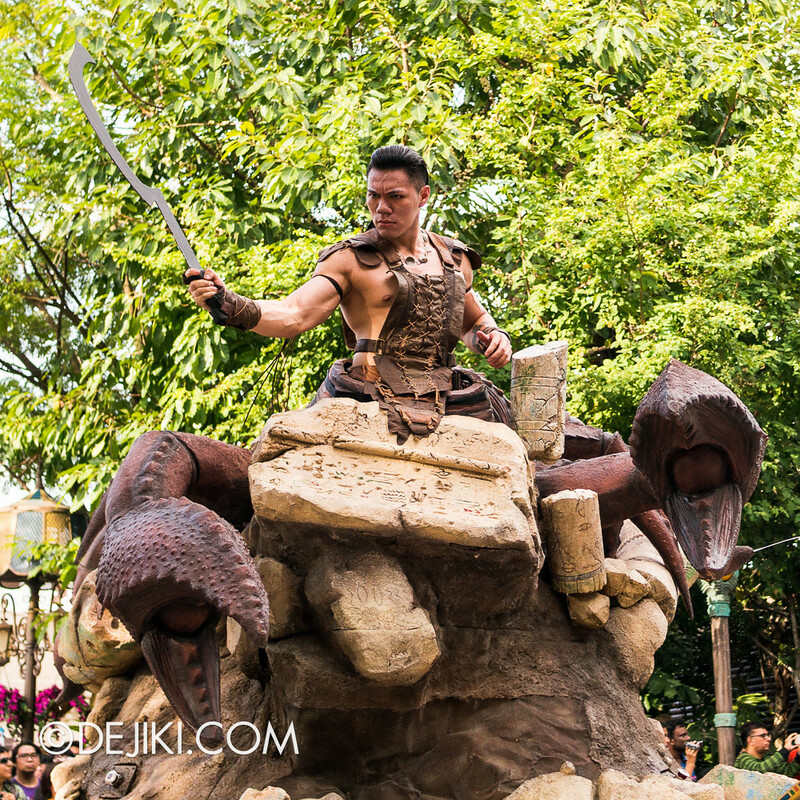 The show time was recently standardized to 5:00PM, though I must comment that even after 20 months, it still does not start on time from The Lost World (Waterworld Entrance). 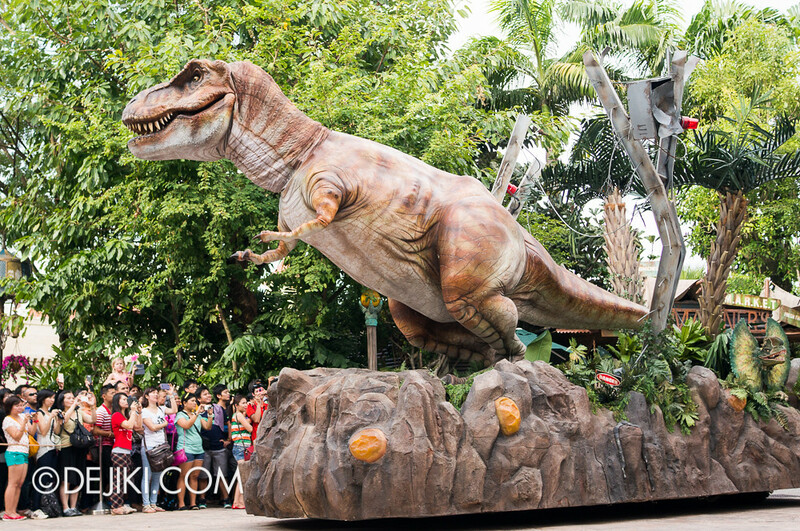 The photos in this feature are taken at The Lost World, the first turn at the parade route. 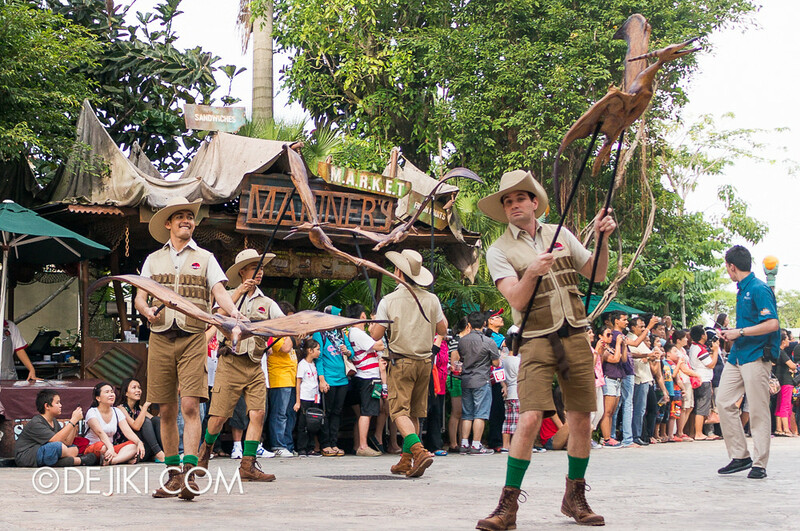 I prefer to watch the parade from this area because it’s the first section (which means less waiting, generally). The first change was most shocking, and didn’t quite make sense to me. Bright red wigs from the 1700s? Pink bows? 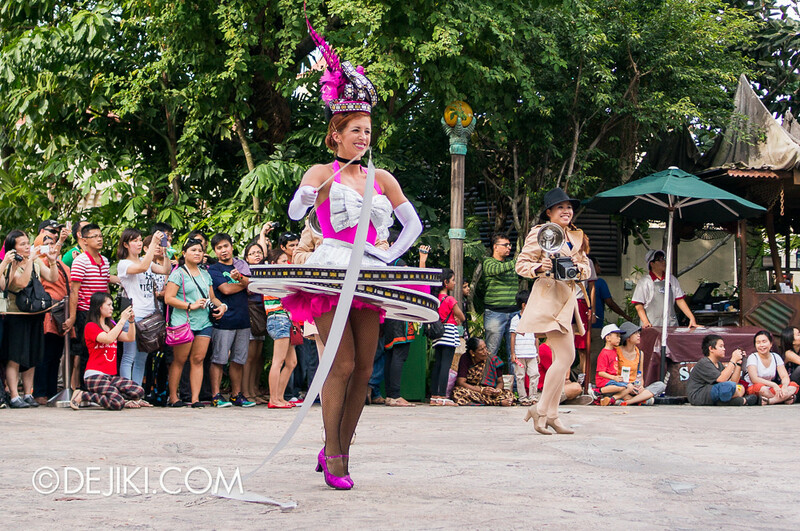 The ribbon dancers’ costumes has the film reels slimmed down. The older version looked bulky and made movement difficult. 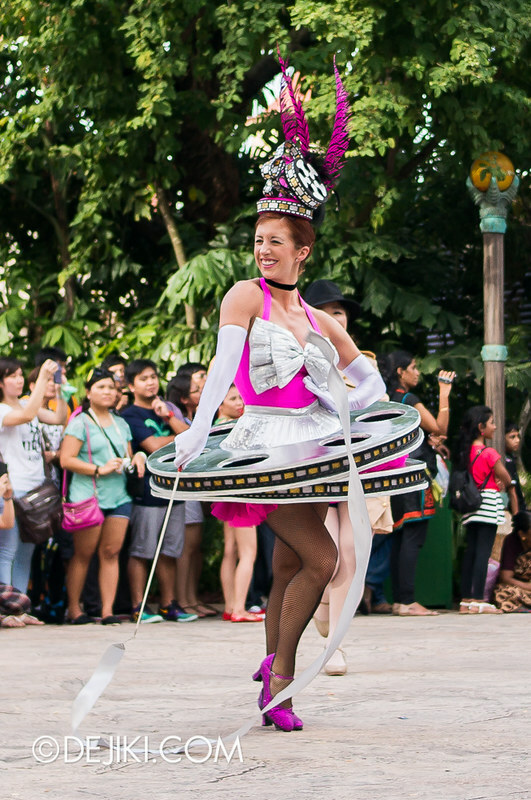 The dancers also have a fancy headgear filled with reels. 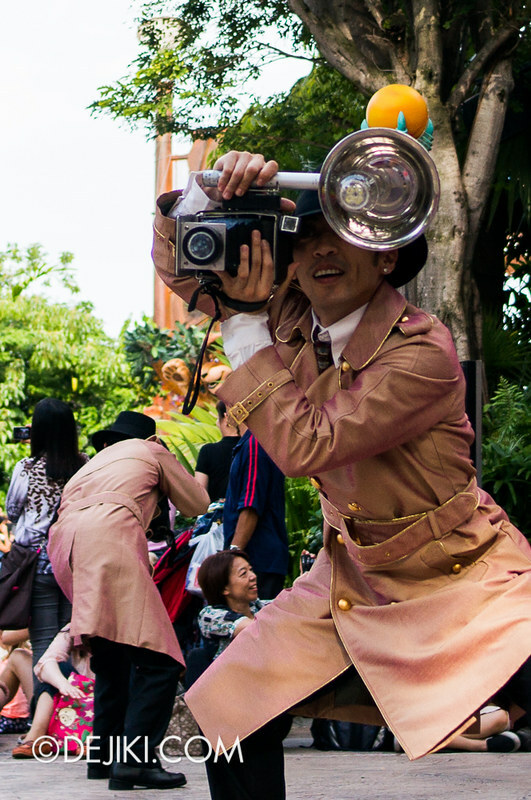 The photographers’ costumes were changed: Black fedoras, black pants, plus the coats for the male performers now feature gold edges. The “Press” tag on their hats are gone. 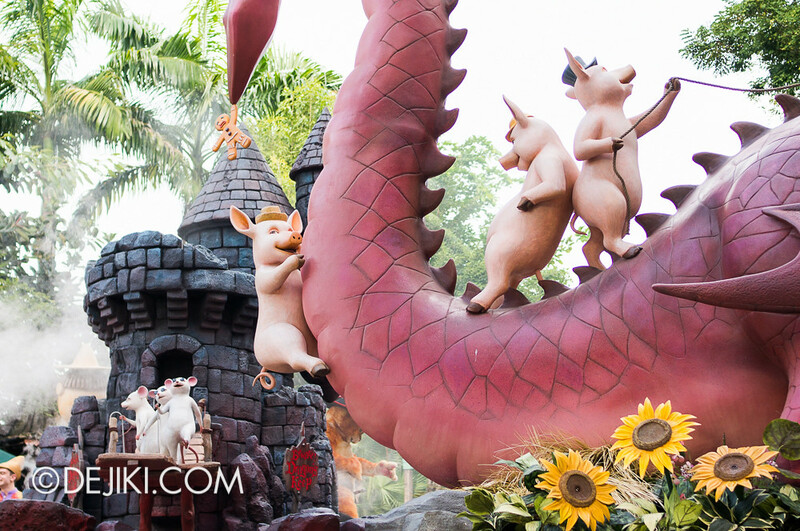 Not sure if the jumping dancers on the float are permanently gone or not. 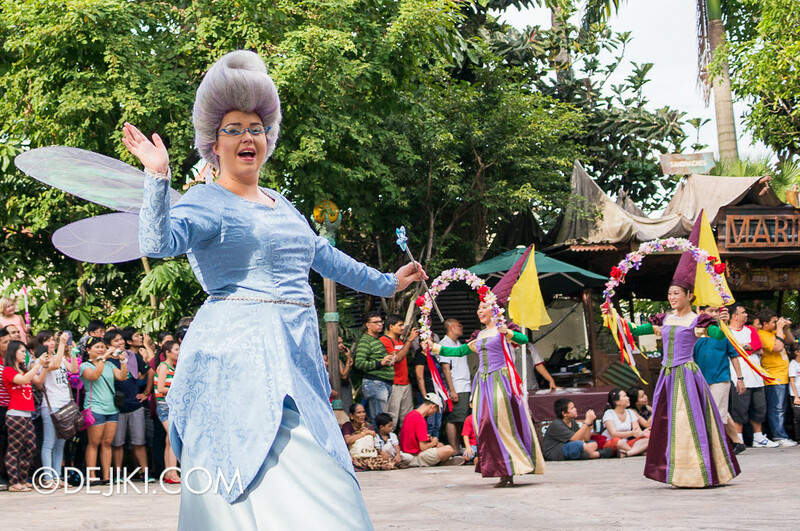 Fairy Godmother’s costume has either changed or this is just an alternate outfit. Either way, the fabric has a different pattern – the one over here has larger floral prints (the floral pattern in the April 2013 photos is a lot finer and doesn’t show up from afar). 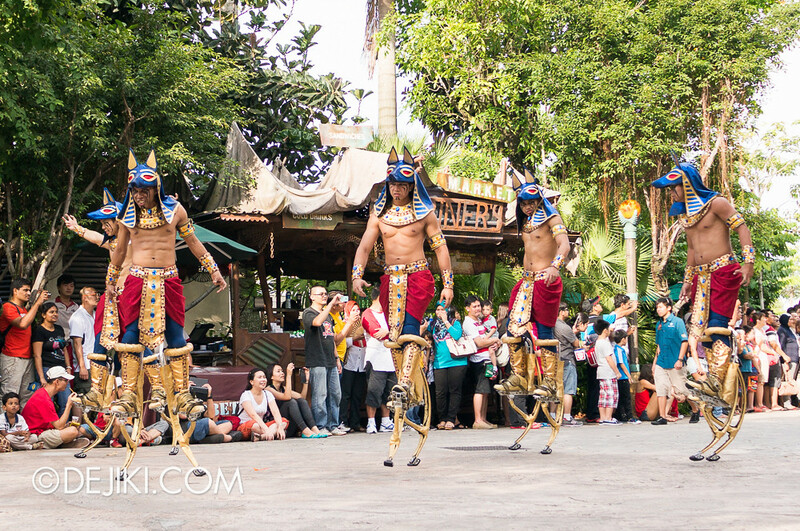 Well these costumes for these dancers are definitely different. Also gone: the “Princess Leia” hairstyle. 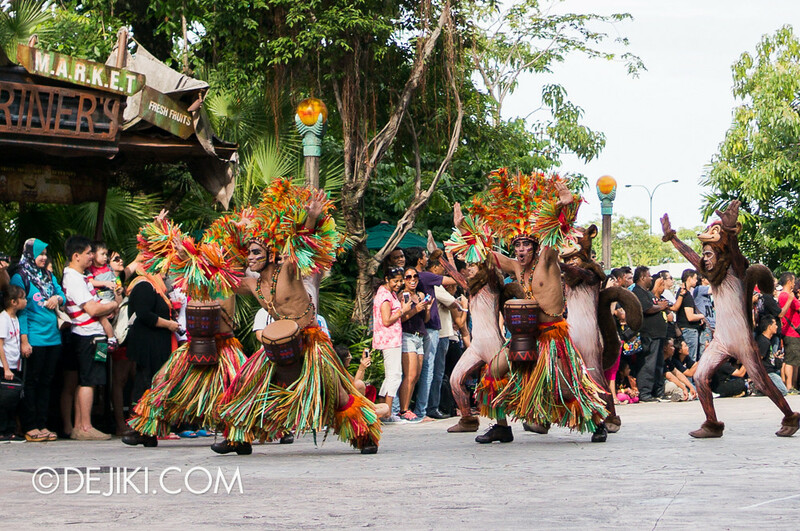 The two Squires (I guess they can be called that) have been replaced by an entirely new group of performers, also in new costumes. 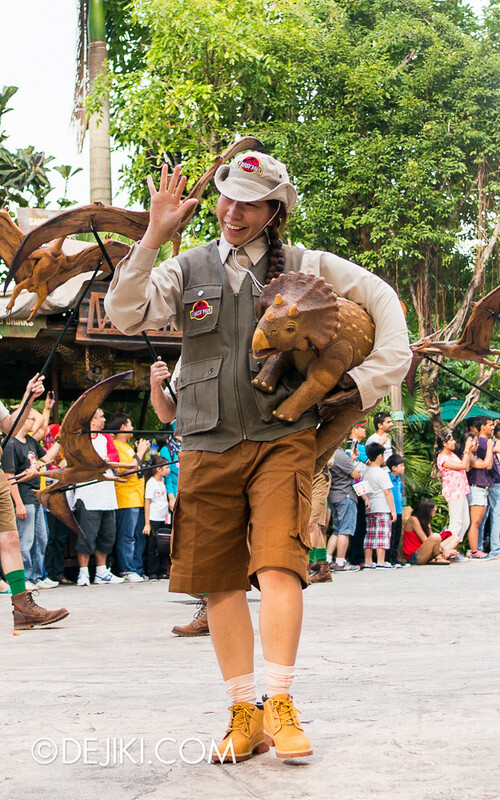 The Pterodactyl group at the Jurassic Park segment dons a new look: Short-sleeved shirts, brown vests and interestingly, green socks. 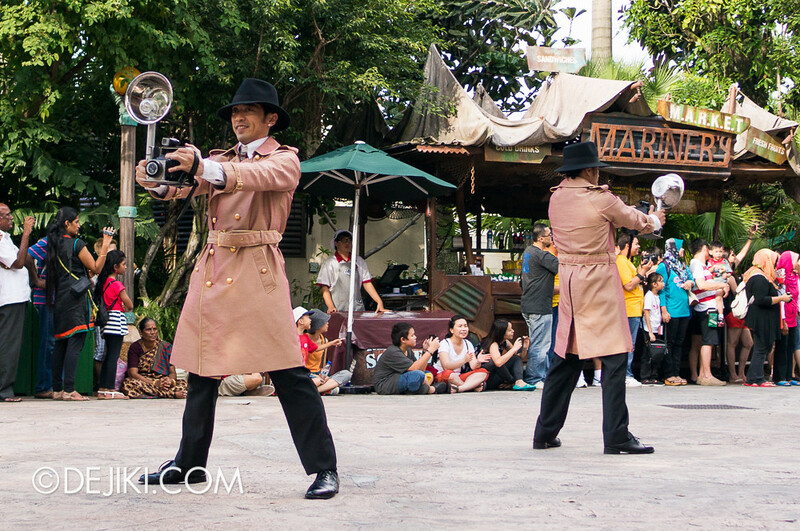 The other performers kept with the old look. 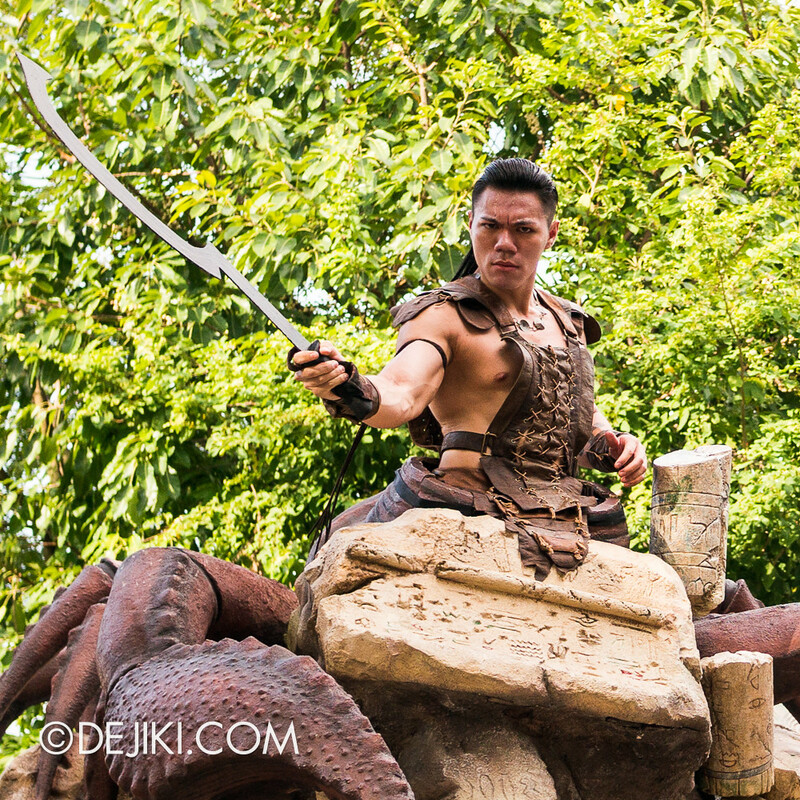 The Scorpion King gets an additional photo for looking straight into my camera. Ardeth Bay modelling a look from the Medjai Spring/Summer 1926 Collection. And we have the O’Connells (and a park staff member who kept trailing behind them). 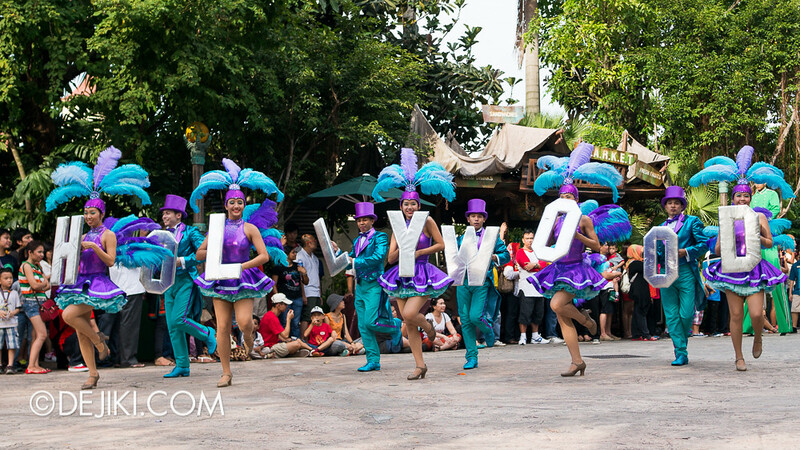 Oh well, I think these cast members were one of the park’s best pair, but I’ve never seen them perform in Hollywood Dreams Parade. And girlll that’s some crazy hair curls. What do you all think? One of the nicest changes is the new Scarab Princess Trio. 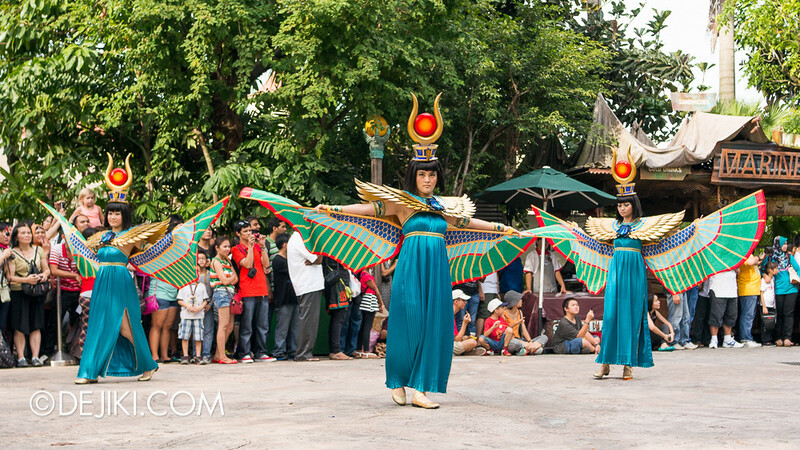 A lot more elegant than giant scarabs dancing around. The Scarab Princess also gets an additional photo for looking straight into my camera. 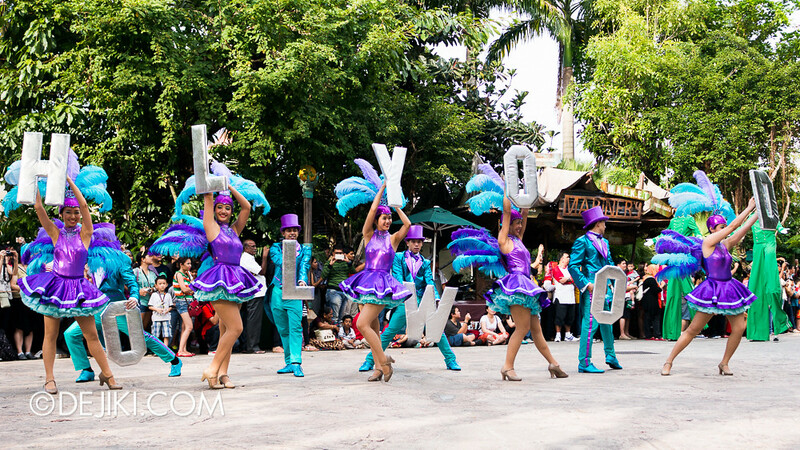 The group of dancers holding HOLLYWOOD letters now have shiny new outfits. 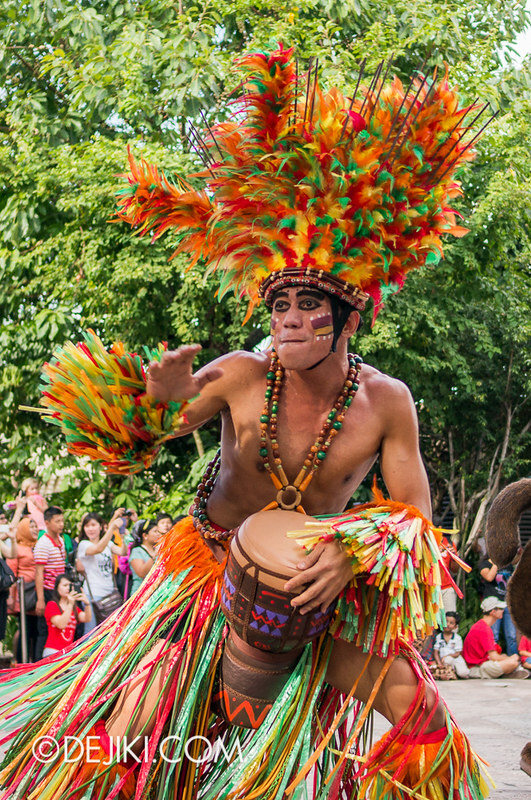 Instead of the male and female dancers having different coloured outfits, now it looks more cohesive – both outfits now share two colours, but still retain one key colour. 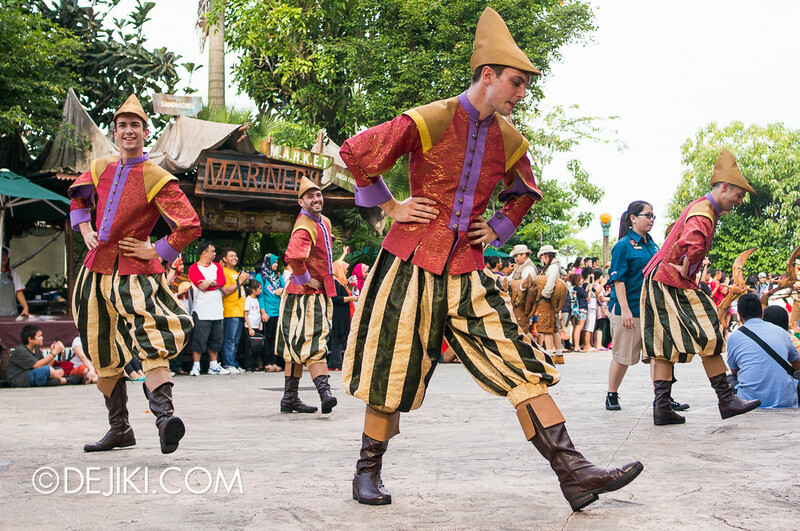 The bellhop stiltwalkers (in the background here) have changed from red to green. 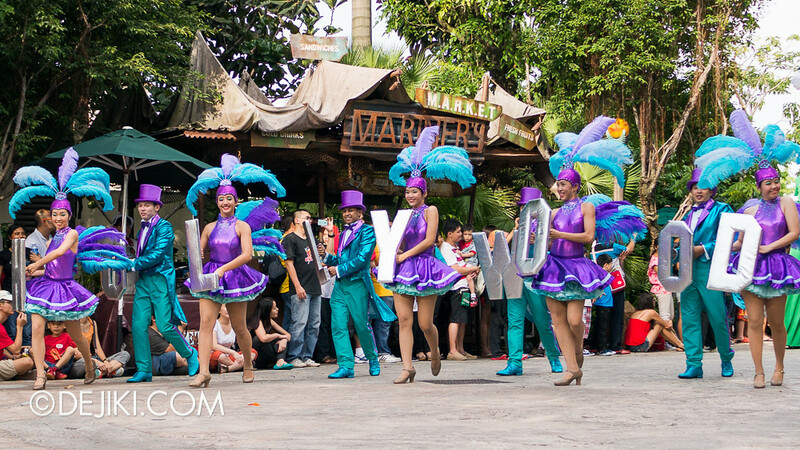 Different outfits for the dancers on the float. The men now wear tailcoats and the full ensemble that goes along with it. 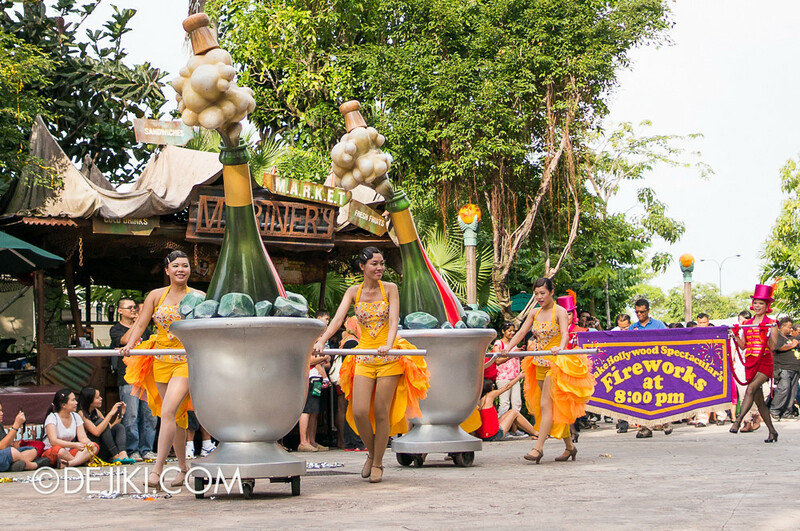 And this photo shows the final set of new costumes for the Champagne and Finale Banner performers. 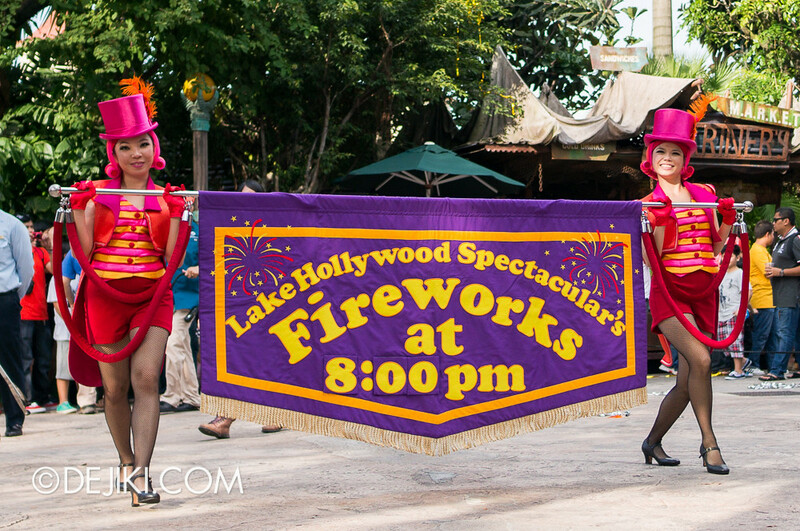 The Finale Banner now gives a reminder of the Lake Hollywood Spectacular show. 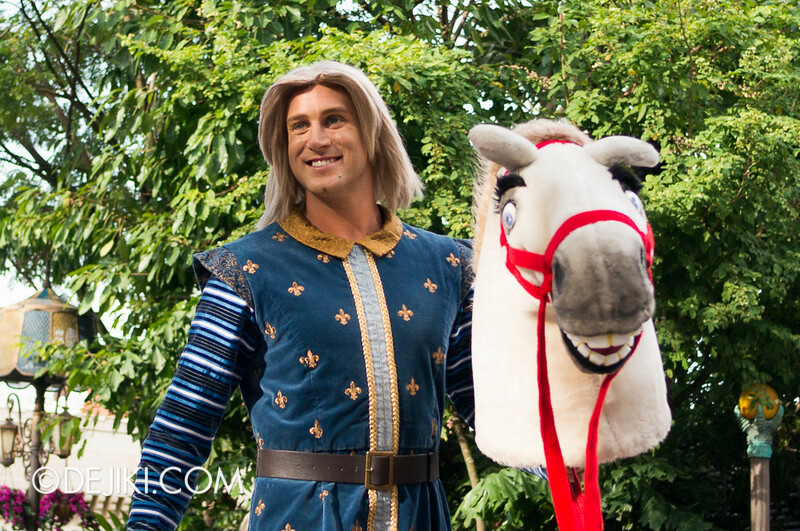 This will be shown on Saturdays, or any other day when the fireworks are scheduled later at night. 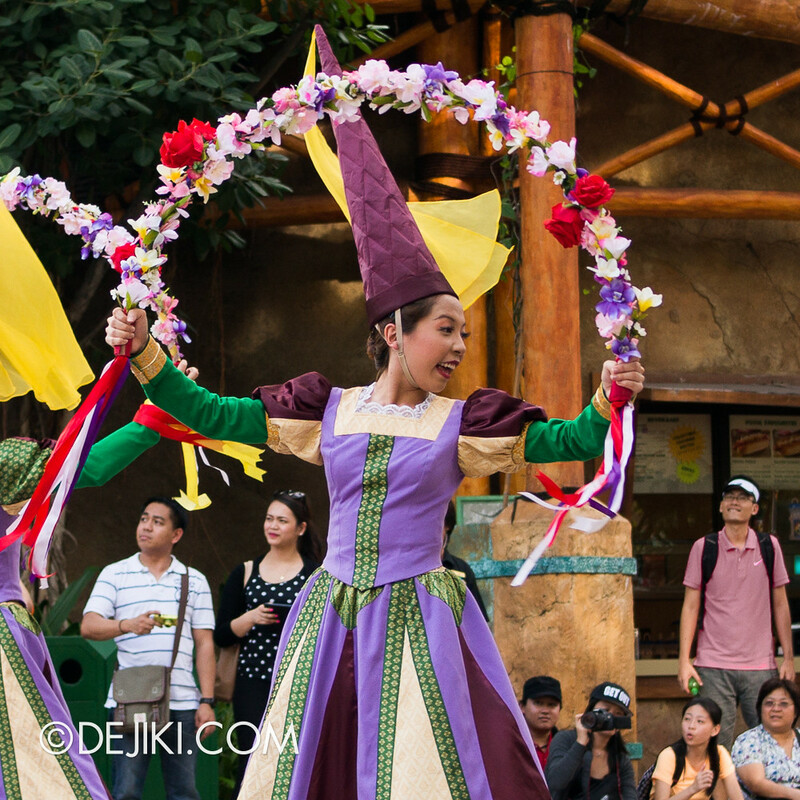 It’s great to see the park making an effort to update its live entertainment offerings. 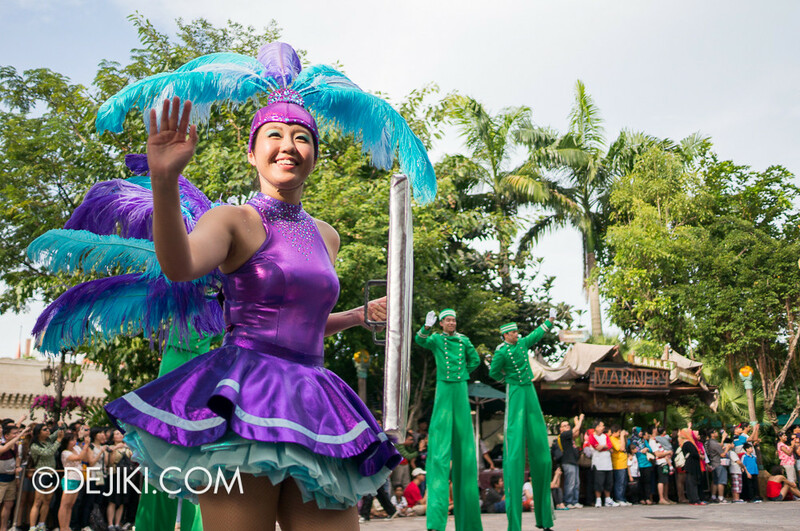 Although not much has changed in the show, the new costumes give the parade a new look that is more vibrant and engaging. 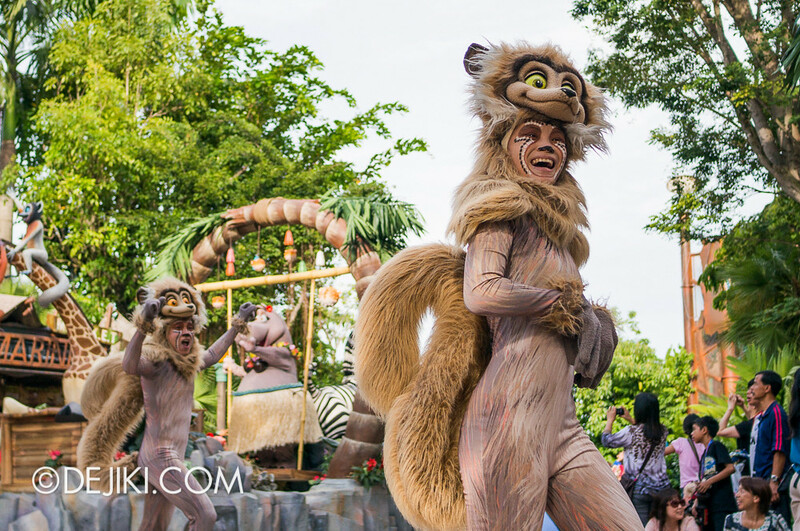 Pacing has improved quite significantly, with the addition of performers in between floats that help to spread out the flow of visual action. 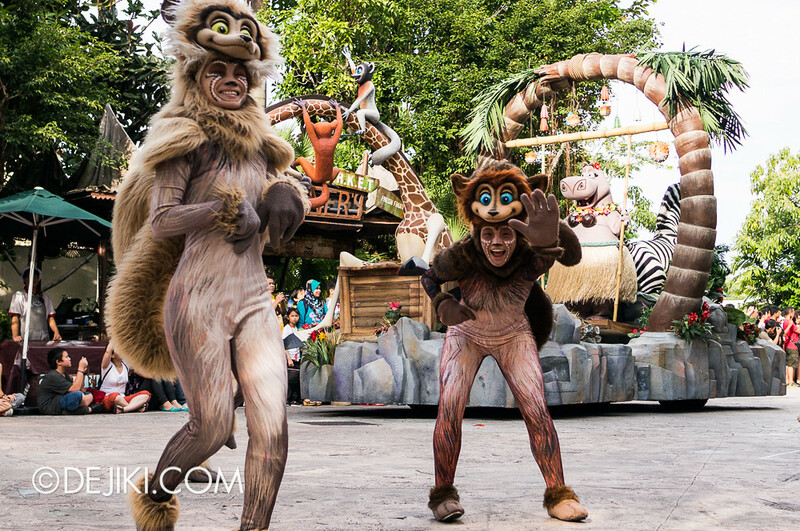 There is no longer an awkward gap between the the Rolling Marquee and Madagascar. 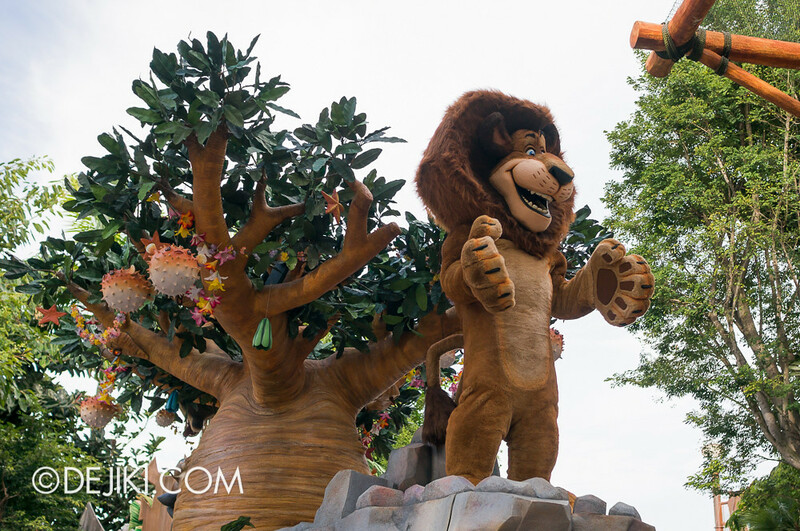 The soundtrack for the parade was tweaked slightly. 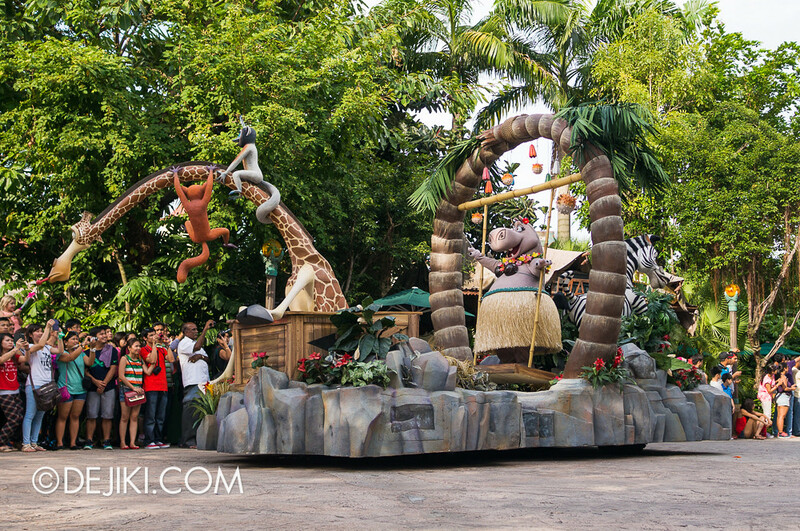 From my viewing spot at The Lost World, the music sounds like it is running as sequenced. 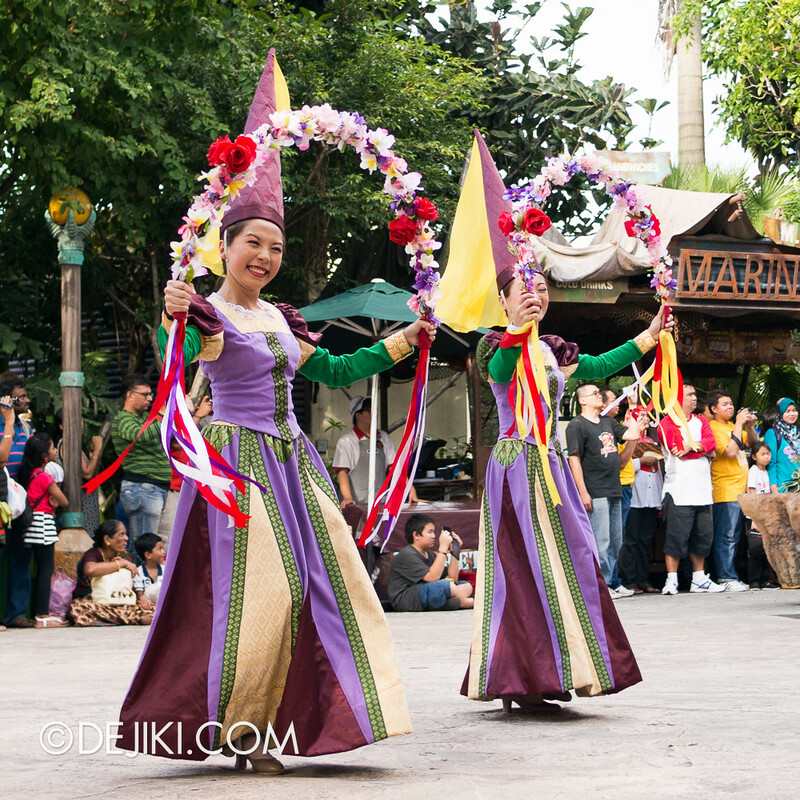 It would be better if the park’s sound system is upgraded with more speakers so that the music can be heard consistently clear and sound “fuller”. 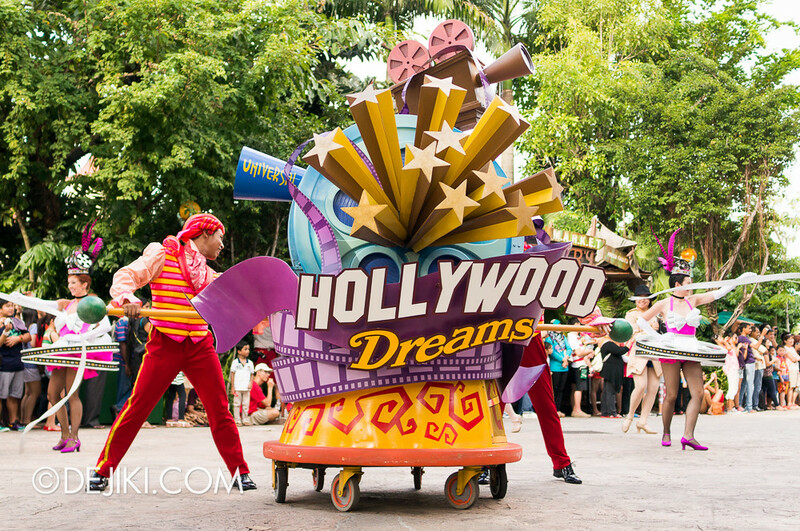 Hollywood Dreams Parade is now on hiatus until November 2013. Hi! 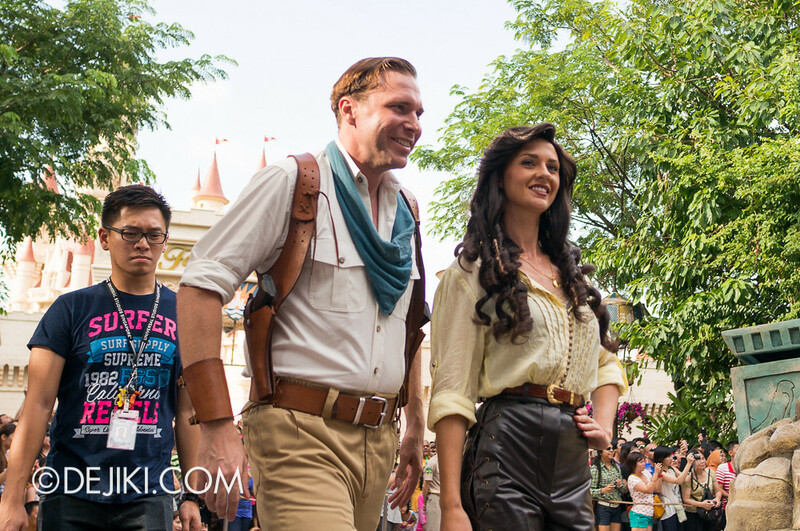 Are Bride and Dracula still in the parade before the opening unit! I believe they still do appear, but only along the Sci-Fi City/New York section. 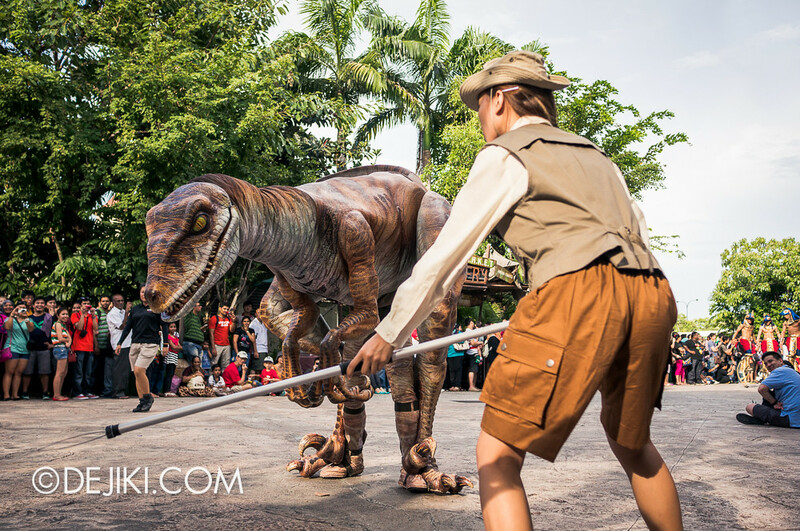 The parade needs a filler act for the last leg of the route because it takes so long for it to get there from The Lost World. Thanks! 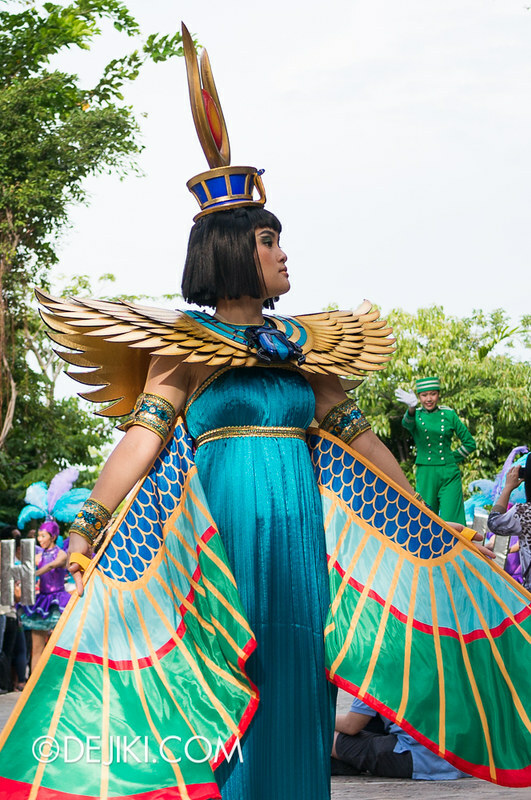 By the way, this is not related to the parade, but I understand there is a face character called the Nile Princess in Ancient Egypt… What movie is she from? 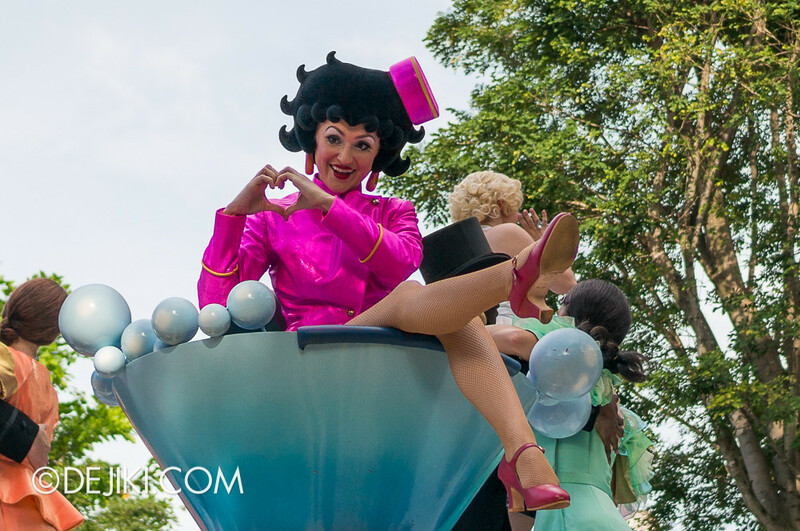 And, with regards to the parade, is Mae West gone? That character is Anck-su-namun (or Nefertiri*) from The Mummy and The Mummy Returns (first two films with Brendan Fraser). She wears a revealing yellow/gold outfit and sometimes also accompanies The Scorpion King around Ancient Egypt. 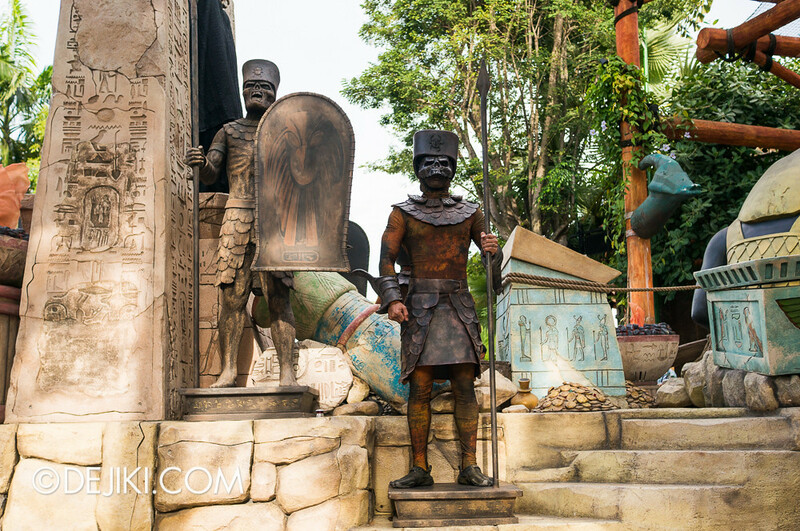 *Actually in the films, Anck-su-namun is not the princess (but she is the King’s Mistress and Imhotep’s secret lover – the whole Mummy story revolved around their forbidden love). 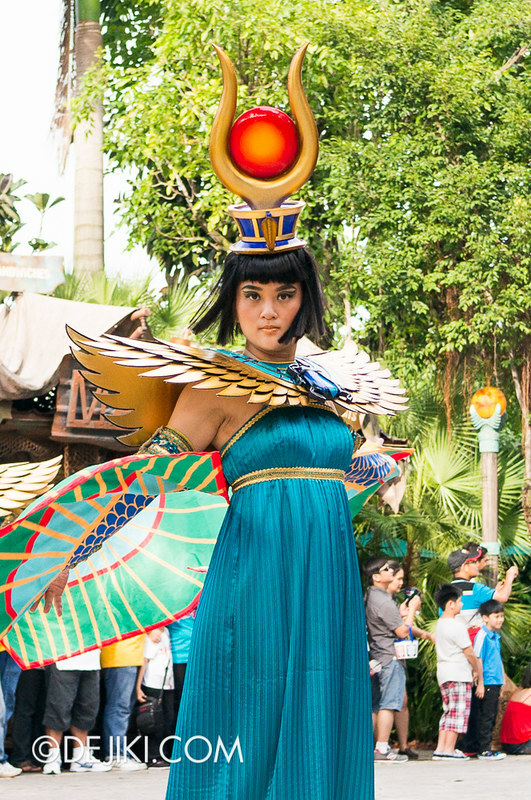 Nefertiri is the actual princess but in the case of USS, the character portrayed suggests she is Anck-su-namun and was also referred as such by some of the park crew. 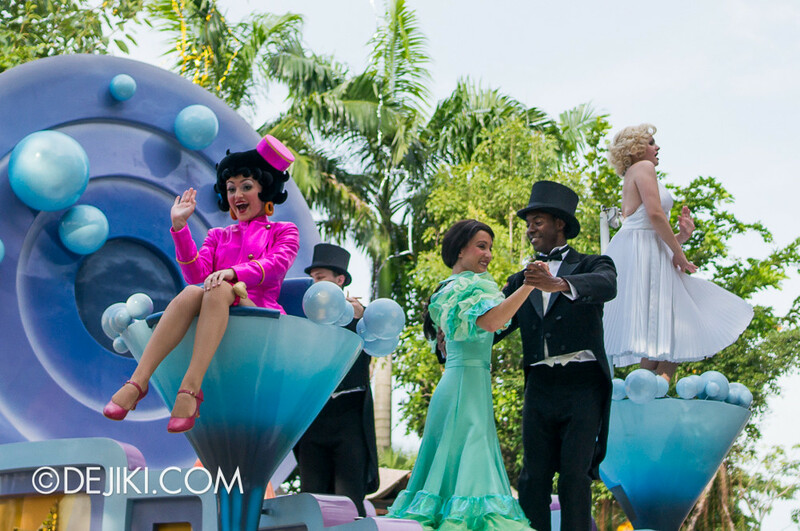 As for the car segment of the parade, characters rotate. Sometimes it’s Mae West, sometimes it’s Beetlejuice. 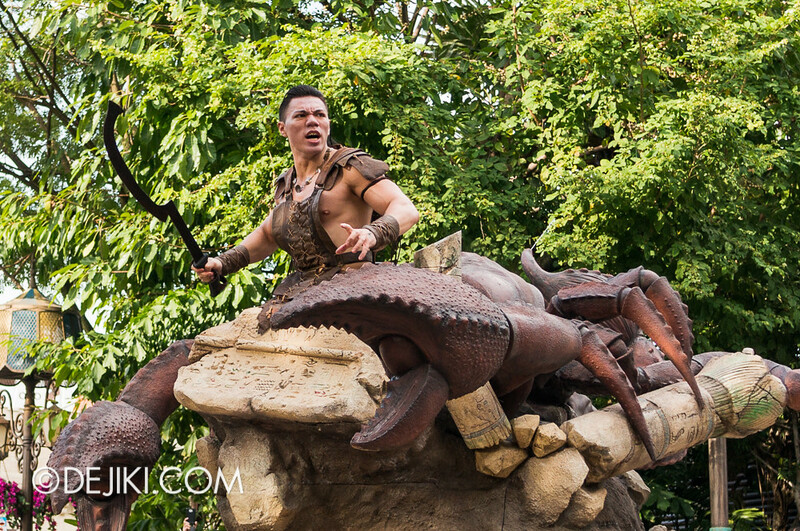 Who does the voices for the parade, like for Woody Woodpecker, Scorpion King, Shrek and Evelyn? Dracula and Bride of Frankenstein may be fillers, but their appearance took too long as well. 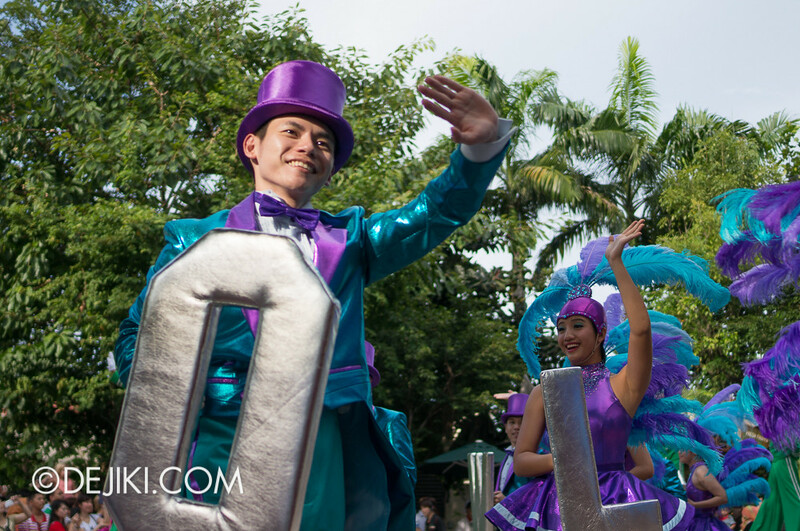 I treat them as part of the parade itself. 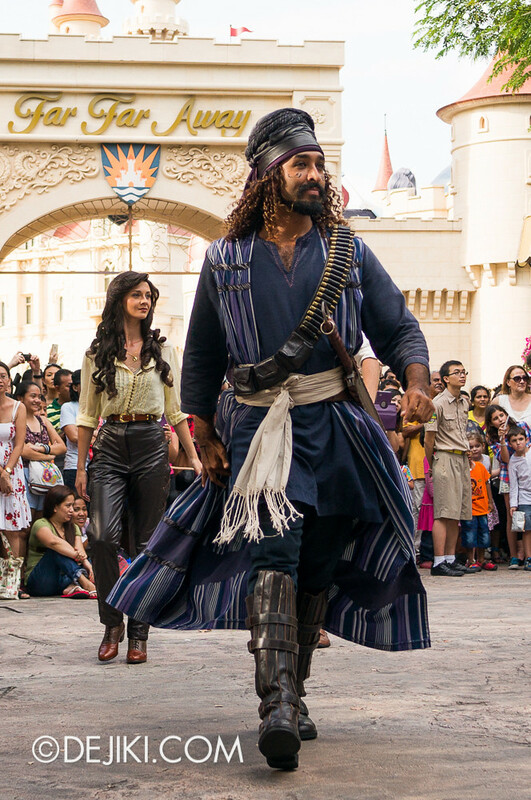 Perhaps, for the Mummy segment, they could add The Nile Princess. 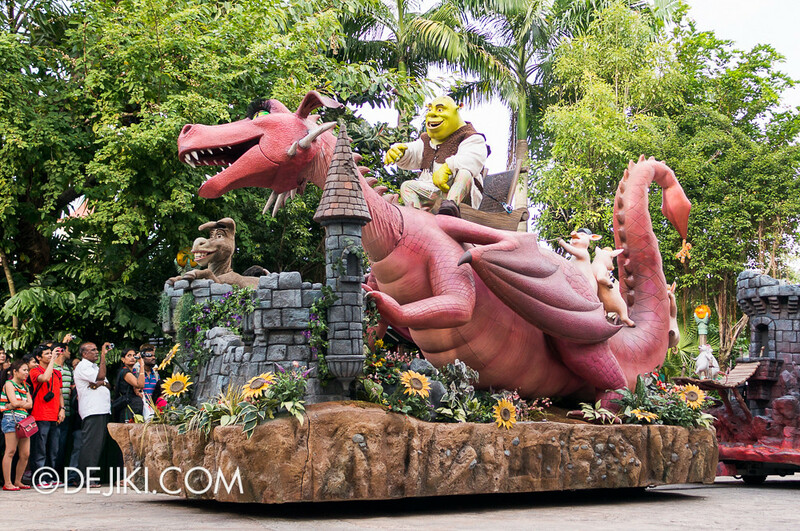 Also, is that Imhotep on the float? Any chance to meet him? Also, it would be great to add a “Despicable Me” unit. 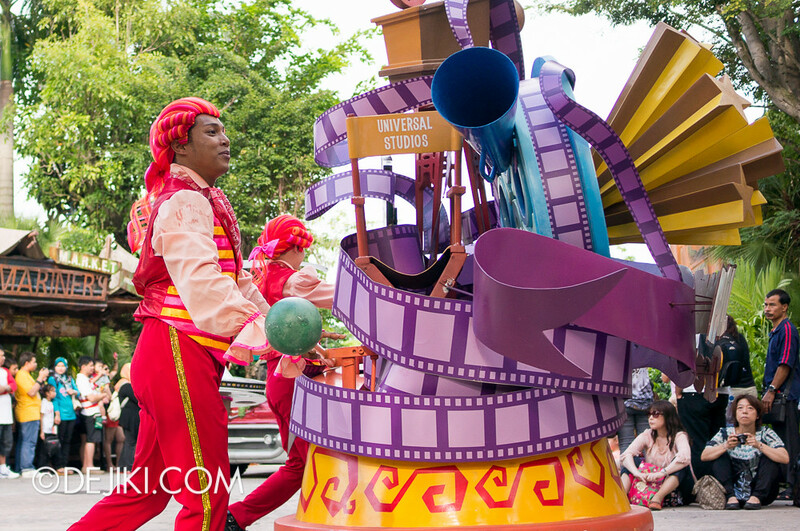 Overall, the parade is ok but the audio co-ordination can be improved too. 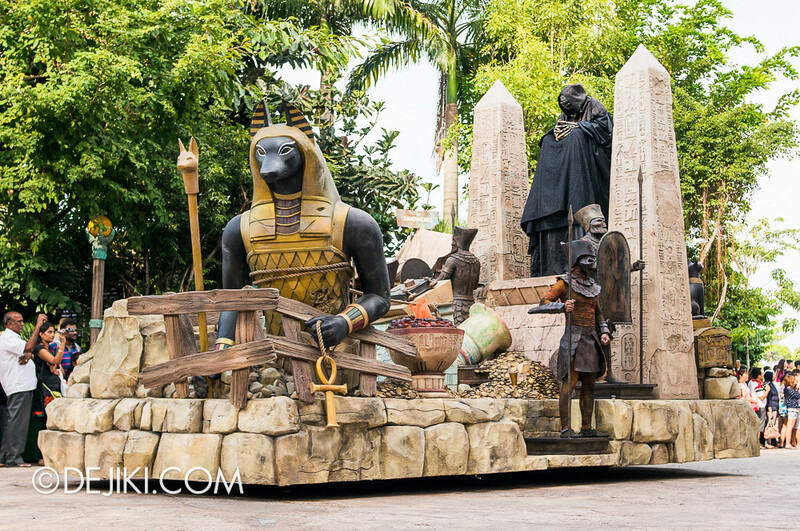 Yes, it is Imhotep on the float, and as of now he is not available as a roaming park character. 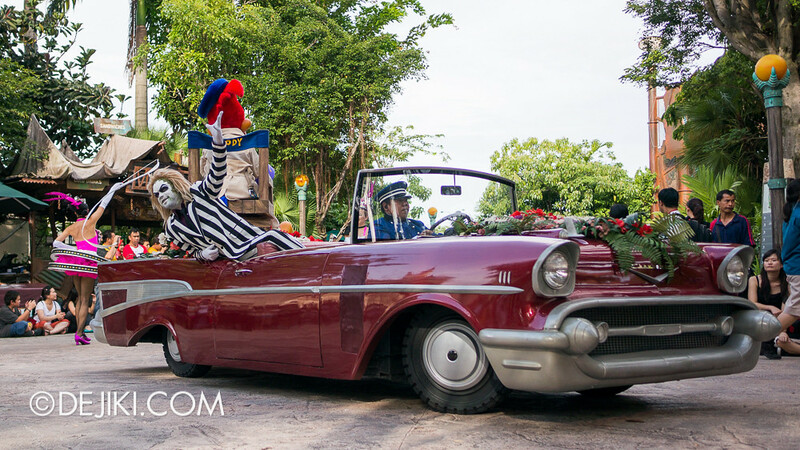 I believe the park knows that guests would love to see all of their favourite characters (especially Despicable Me), but as these characters are licensed intellectual property, it would take much more time before it (probably eventually) happens. 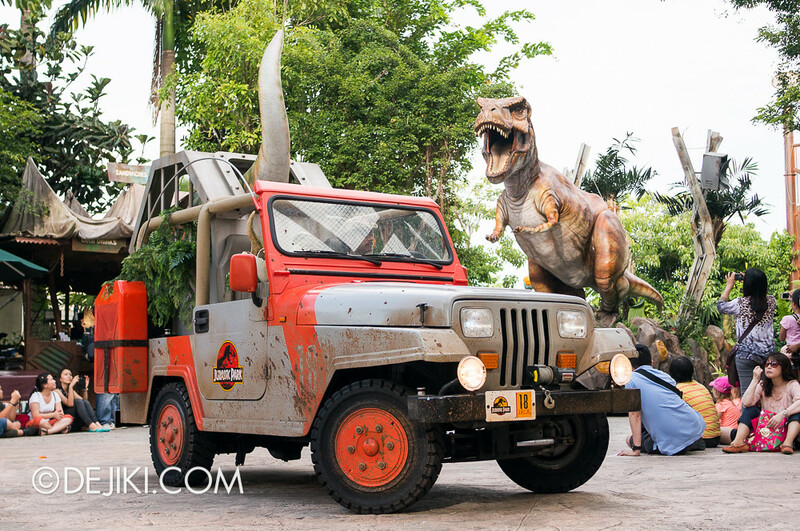 Any idea what happened to the walking Raptor from the Jurassic Park unit? 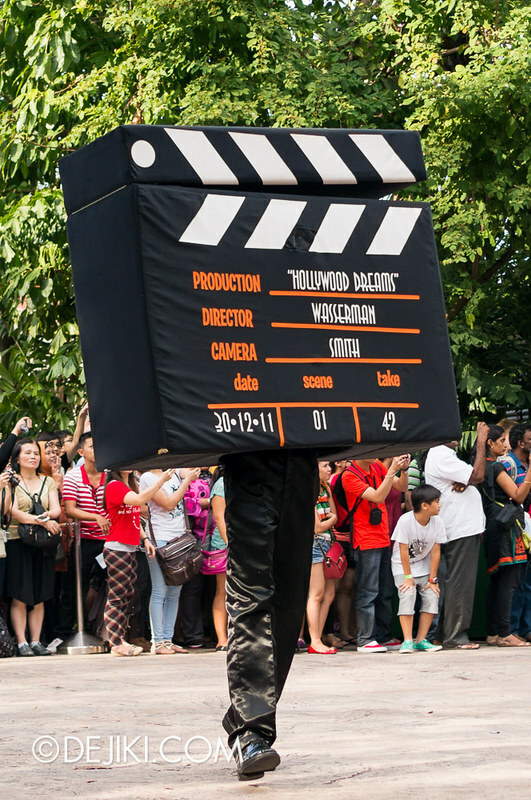 I don’t seem to see it anymore when watching the parade. 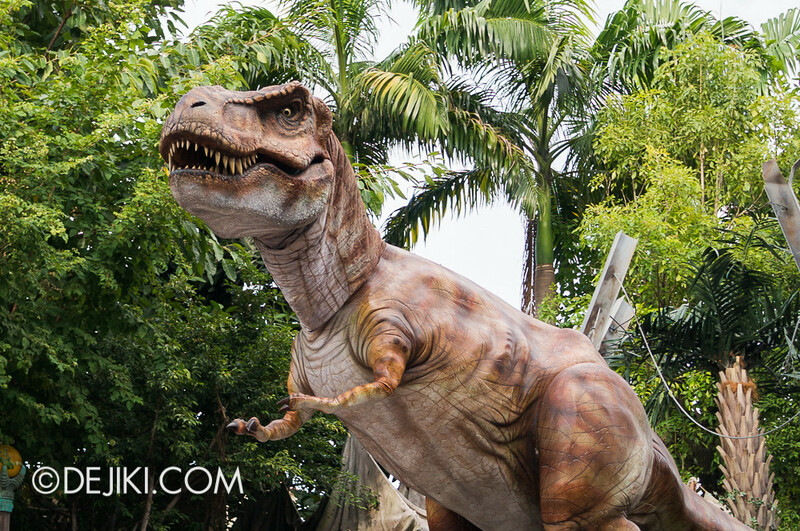 Do you happen to know what happened to the walking raptor in the Jurassic Park Unit? 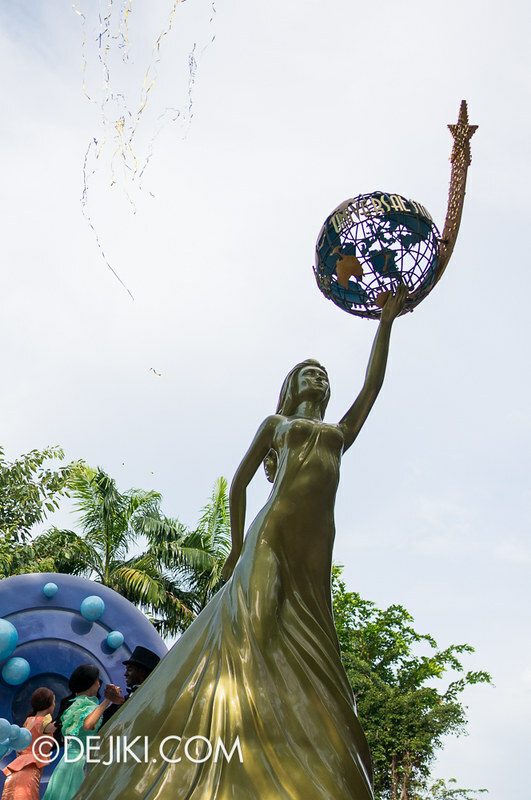 I haven’t seen it recently in the parade.